Squirrels may look cute and cuddly but they make for a very annoying garden pest. If you want to know how to keep squirrels out of the garden for good, you’re going to want to read some of the very helpful tips we have here. There are some natural predators to squirrels, such as hawks, but if you’re not lucky enough to have them in the area spooking your squirrels away, you’re going to have to do something about it on your own. 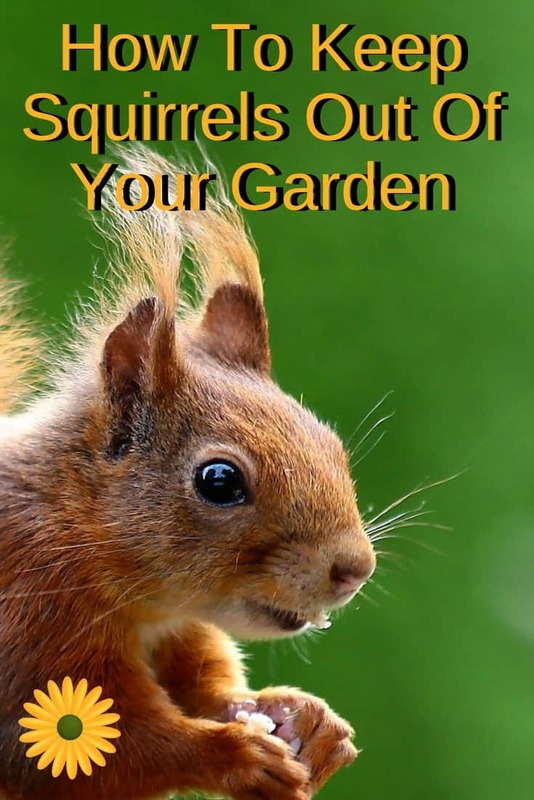 First, if you want to get the squirrels away from your garden, you’re going to need to remove what attracts them. Sometimes squirrels come into the garden because they like the smell of the fruit. The also love nuts and seeds, so if you have those in your garden, or if they are falling into your garden from a nearby tree, you need to get rid of this. Have you ever tried an electronic squirrel repellent? 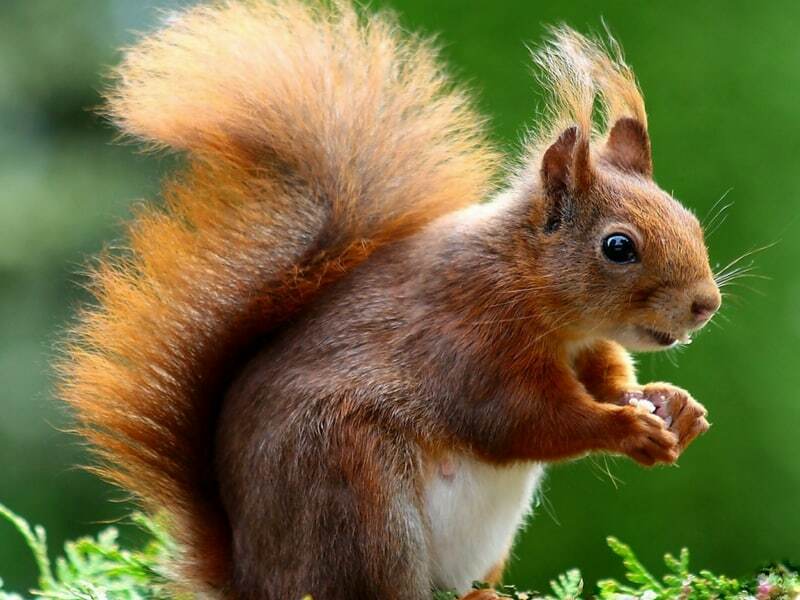 There are devices that are made to transmit an electronic sound that squirrels can hear but humans cannot and in many cases, it will scare them away. There are different types and different frequencies so it really pays to do your research first. 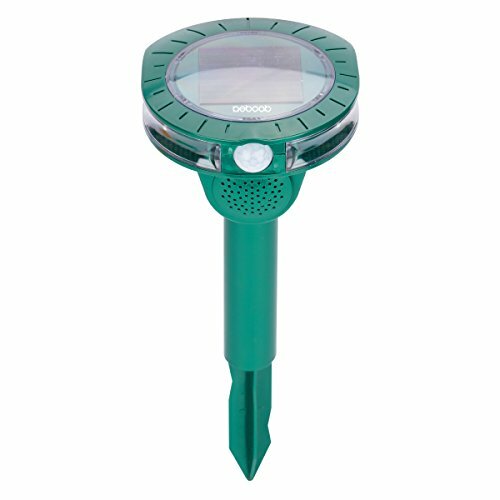 RODAR is one company that makes ultrasonic pest repellents like this. Just like the hawks that keep squirrels at bay, if you have a dog (or multiple dogs) they will do a very good job of keeping the squirrels out of the garden. Some people say their cats chase the squirrels away but others say their cats just lie around and look at them. It probably depends on your cat. Many find moth balls work well at keeping squirrels out of the garden. You can sprinkle them around the perimeter where the squirrels would get in. They don’t like the smell and they won’t cross the path of moth balls. Could soap keep squirrels away from the garden? Some people swear by soap (Irish Spring soap is a popular choice). Some people use a kitchen dish soap, or make a spray or mixture out of it. You can also try to scare them away. They don’t like loud noises, the don’t like human hair, and most don’t like the presence of humans around them (maybe that’s why the hair works). You can cover your harvest with chicken wire and other deterrents but some squirrels (especially when hungry) have been known to dig, to pull back wire, to tear down fencing, and do many other destructive things to get at what they see as a food source. If you’re trying these methods and it’s not working, you might need to consider something stronger. You can make your own spray repellent by filling a bottle with water, white vinegar, and jalapeno peppers (or juice from the peppers). You can then spray your flowers with the spicy mixture and the squirrels won’t come around. Squirrel repellent sprays made of Tabasco (or other hot sauce) are very popular. A small bottle of Tabasco mixed with a gallon of water makes a pretty good deterrent for most squirrels. A dry repellent might work better if you are trying to keep them out of the bird feeders or flower beds. You can put some spices in there to deter them such as cayenne, paprika, and crushed red pepper flakes. You can buy squirrel repellents from Amazon, or from a local store and there are a variety of types. Some people like to keep their gardens completely natural and they don’t want to use anything with chemicals. If you don’t want to use chemicals, you’ll want to try some of the natural methods mentioned above. 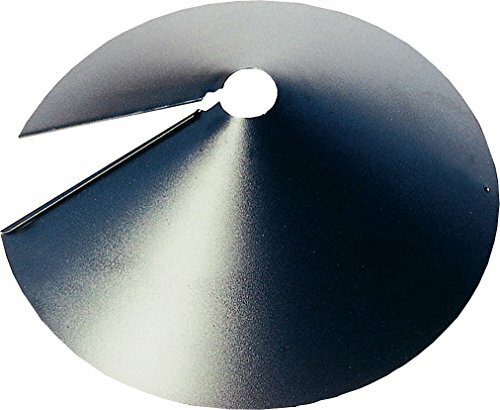 Woodlink NABAF18 Audubon Wrap Around Squirrel Baffle, 18-Inch If you love having bird feeders in your garden but struggle with the problem of squirrels getting into them, here is more important information to know. You can learn how to keep squirrels out of your bird feeders with just a few simple tricks. One way to do it is to put the bird feeders on much higher poles. A 10-foot pole will work. Then you can put some olive oil or another repellent as listed above on the pole and it will prevent the squirrels from climbing it. Avoid putting your bird feeders in trees or they will just climb the trees to get to the bird seed. Another option is to give them their own feeder (this one is my favorite: gives them food and it’s hilarious to watch them eat form it). You can put a squirrel feeder out in a separate area from your bird feeders and put yummy squirrel treats in that one. As long as you keep it stocked, they won’t go after your flowers, or your bird feeders. Sometime this is a simple enough solution for someone’s squirrel problem. If you find that they are still getting into your garden, eating your plants or flowers, or otherwise making themselves a nuisance around your property, you may need to try something else. 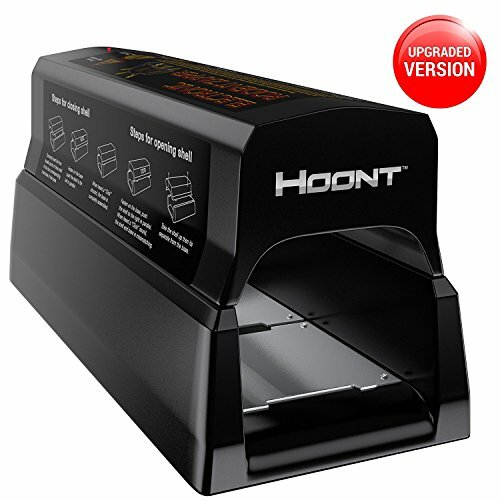 Hoont Powerful Electronic Rodent Trap – Clean and Humane Extermination of Mice, Rats and Squirrels [UPGRADED VERSION] In addition to the suggestions above, you can also trap the squirrels and have them relocated. If you just have a couple, or if you got a nest in your home or property somewhere, this might work. For many people, there are so many squirrels around their neighborhood, relocating them does little good since more will just come back. If you feel like you’ve tried everything under the sun and these furry little pests just keep coming back, consider talking to a pest control specialist. If you don’t want to kill or harm the squirrels, there are pest control companies that will help you find humane ways of resolving your problem. A common problem people see with the things on this list is that the squirrels can become adjusted to certain things over time. For example, the hot and spicy trick may work for most squirrels but if you’ve been doing it a long time and your squirrels have become accustomed to it, it’s time to try a new deterrent. Shoot them, fry them, mix up some biscuits and gravy. Problem solved. And you got a full belly. Andrew, that might work for some, but I could never do that. When I lived in the city, and couldnt shoot them, I made a lovely concoction of chopped pecans and rat poison. In a month’s time, there were hardly any squirrels in my yard. People have GOT to get over the notion that EVERYTHING has to be humane. When the SHTF, they are not going to be able to hunt, butcher livestock, or shoot invaders. I know this is a gardening web site and not a prepper web site, but the point of gardening is to provide food for humans. You can’t do that well and be humane in the treatment of raccoons, rabbits, squirrels, weasels, and snakes. That’s why I have a BB gun. yeah, that works for you, but not for others.